Hi friends! This is card #10 for my 30 Cards in November Challenge. I figured I better start working on Christmas cards so that I can send out handmade ones this year (since I still have 20 more to go – gulp!). 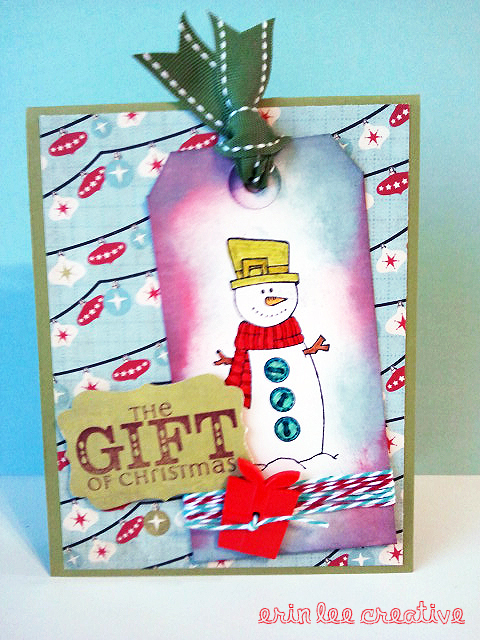 Today’s card was made for the Unity Stamp Co Kit of the Month Challenge. I am desperately trying to find challenges to give me new layout ideas for all these cards! HAHA. This was a fun one that included a tag.